Client advocate program for LGBTQIA+ folks co-occuring addiction rehab. Additional support for Inspire clients is offered through the Inspire Recovery Client Advocate Program. 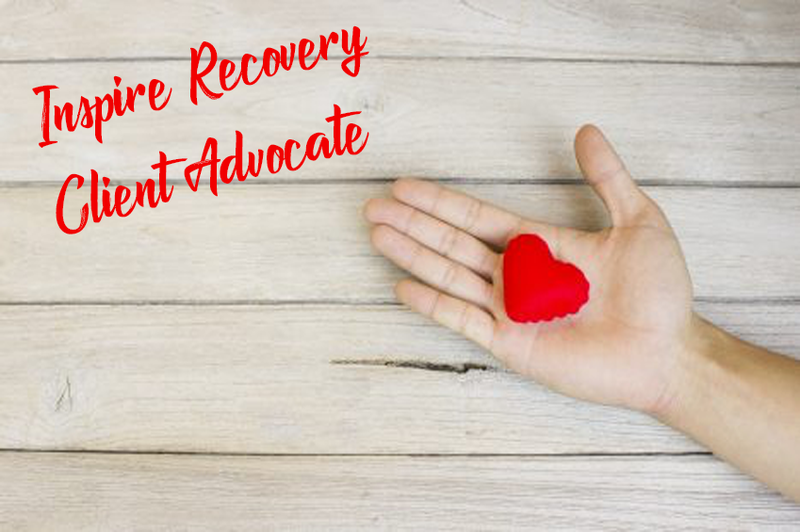 The role of the advocates is to offer emotional support, to be a sympathetic ear and act as a relay between the clients and their therapists during hours when their therapists are not immediately accessible. Client advocates are available to be reached by phone or email and they treat client interests and concerns as a top priority. In this way they are intricately involved in the client’s case management. Inspire clients will be able to share information confidentially with their advocates and form a comfortable bond of trust. The advocates also offer guidance when it comes to developing important life skills and moving towards re-integrating into the social community and the work force. Help with writing resumes, preparation and practice for job interviews, advice and instruction on continuing education, and more, are all areas in which the advocates can be valuable resources. The Inspire Recovery Client Advocates are also responsible for certainty that the client’s rights are being upheld. Those that need to express grievances can voice such concerns directly to their advocates. Since the client advocates work directly with the Clinical Director and the management team, they act as a bridge between the staff and the clients. Paul Zilber is one of Inspire Recovery’s strong client advocates. His motivational approach has been indispensable in assisting many struggling individuals overcome addiction, achieve sobriety and put the pieces of their lives back together. His compassion and devotion to being of service to Inspire clientele is first-rate. The relationships he forms often extend to when Inspire clients become Inspire alumni/family. He considers watching the process of recovery to be the most rewarding part of his work. Alicja Majer is another powerful force in the Inspire Recovery Client Advocate Program. Alicja is passionate about the focus on the arts at Inspire and has a wealth of enthusiasm for taking a creative and active approach towards clean and sober living. Her background in graphic design allows her to bond with clients who have interest in the arts. She makes herself reachable and readily available to the clients she advocates for and she is willing to go to great lengths to be a guide on their pathways to recovery. Forming positive relationships that promote personal growth is one of the most important working parts of successful recovery. Creating as many relationships of this nature as possible can be the ultimate key to accomplishing great things. Our client advocates are a wonderful springboard towards forming similar necessary bonds that will lead to a solid foundation for lasting sobriety and achievement in life.